No matter where you live in the world or where you conduct business, you have surely heard of Rupert Murdoch’s One Madison penthouse. This real estate promises to be, without a doubt, on of the most expensive real estate transactions for a single Manhattan property. Murdoch purchased the Manhattan penthouse in 2014 for $57 million; and just a year later, he listed it for a whopping $72 million. Certainly, this billionaire knows a bit about investing in real estate. Surely, this is a large sale, but you won’t have to pay so much. 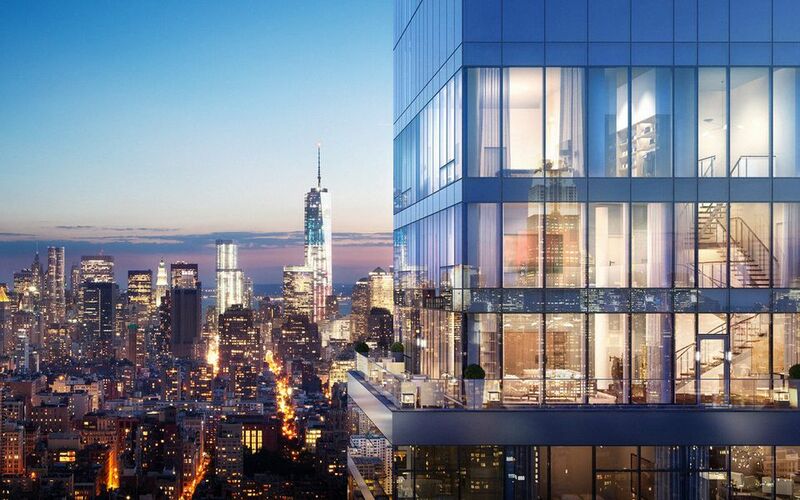 Savvy investors are eyeing the newly released PH55/56 at One Madison. Living directly under Rupert Murdoch, the next buyer has the opportunity to buy the highly sought after penthouse for $27,000,000. This is a prime piece of New York City real estate that you should definitely consider putting an offer in on, if you are investing in exclusive properties. Keep reading below to learn why you should consider such a sizeable real estate investment below. Location, location, location. This 55/56 penthouse at One Madison is in one of the most prime locations in Manhattan. Located right in the middle of it all at, you can easily travel uptown, downtown and crosstown for work or for pleasure. Not to mention, the location of One Madison’s penthouse will be an easy piece of turn key real estate to flip when the time comes to sell – thanks to its centralized to NoMad, Flatiron and Chelsea. The luxury and status afforded by ownership of a penthouse on Madison avenue, let alone the most exclusive Madison ave penthouse, is certainly worth the value price of $27 Million. When your penthouse is the 55th and 56th floors of a modern Flatiron apartment building, it would be absolute insanity to not take advantage of those sweeping views. Thankfully, the penthouse apartment at the One Madison building takes every opportunity to show off the beauty of New York from on high with floor to ceiling windows throughout. It is a magnificent thing to wake up to the Manhattan skyline every morning. However, it is even more wonderful to be able to show off these sweeping views to potential clients or business partners. This type of real estate is certain to demonstrate your expansive business intelligence. If you want to impress, buying the One Madison penthouse is a surefire way to do just that. One Madison’s floor-to-ceiling windows, the 6,600 sq. feet. of luxury space provides an unparalleled location to host guests that is even more impressive than the indoor cinematic city views. The living space includes a master suite, additional bedrooms and dedicated spaces for living, dining or entertaining. Additionally, this penthouse comes ready to be finished and customized by its new owner. Whether you want to wine and dine your partner or a potential business partner, you have full control of how to finish the floor plan design. No one will be able to deny your success when you purchase the One Madison 55/56 penthouse. Inevitably, they will want to do business with you to get a piece of your success too. Of course, a building like One Madison is going to offer luxurious amenities. The luxury apartment building features a 50-foot lap pool, fitness center, spa, yoga room, screening room and children’s playroom. In addition, One Madison offers a dining room to host your own cocktail parties or dinners with the help of One Club’s butler services and gourmet catering kitchen. There is also a parlor and lounge, complete with experienced lifestyle professionals to attend to your every need. No matter what your personal preference, the luxurious amenities afforded by One Club at One Madison are worth every cent. This prime Manhattan real estate is sure to provide a substantial ROI no matter what happens to the real estate market over the coming years. The sky-rise location, building design and apartment customization is lauded by real estate developers everywhere, of which you will eventually be the owner. This will always be a penthouse that billionaire businessmen and women are clamoring to get their hands on. You will never have to worry about losing money on your investment in the One Madison apartment. If you are looking for an exclusive property, the One Madison 55/56 penthouse is one of the best value buys on the market. This New York real estate luxury condo surely will not be on the market for long. If the space’s neighbor, Rupert Murdoch, or its price tag is not enough to impress your venture partners and colleagues, the sweeping views and luxurious amenities are sure to win them over during your dinners and events. Above all, you will be living in one of the most exclusive properties in New York, for a fraction of the cost. If you are interested in purchasing this luxury penthouse, reach out to Jim St. Andre at Jim@CoreNYC.com.